Staying pet-safe is a super important part of living in this lush, green area of Wahroonga. We know that we intersect with all manner of Australian wildlife. This can include a multitude of reptiles, insects and marsupials. For the safety of your family pet and the wildlife and insects native to the area, knowing what’s in your garden and surrounds can help. It isn’t uncommon to see all manner of snake and lizard pop up at Fox Valley Animal Hospital. We have a great relationship with the local WIRES as well as open our doors to concerned residents of Wahroonga and surrounds that have discovered a reptilian visitor in their mists. You don’t have to be a customer of Fox Valley Animal Hospital or know WIRES to gain assistance either. Our aim is to preserve the local wildlife and minimise injury to family pets and people in the process. Lizards and snakes come in all sorts of varieties in Wahroonga. We commonly see small lizards such as the bearded dragon through to large ones such as goannas. We also see both the harmless pythons and the poisonous snakes. In any case, unless you are facing something like the brown snake, the old adage of them being more frightened of you than you are of them is quite true. A lizard or snake disturbed will often beat a hasty retreat. The issue of course is that a cat or dog have a natural instinct and curiosity about where that reptile is going. And they will likely want to confront them for being on their turf. Do not allow your dog or cat to engage with any snake or lizard. Even if they are not poisonous, injury can come from bites and claw scratches. Also, your pet may be a significant threat to the well-being of that reptile. They don’t deserve to lose their health or life simply by straying into the garden. Always take your animals inside as soon as you see a reptile. Do what you can to divert their attention away from the reptile, especially if they haven’t seen it but you have. Once you have secured the family pets, if you are unsure of the reptile you are dealing with and it is safe to do so, take your mobile phone back to the place the reptile was last seen. Do not approach if you can help it. Instead, use the zoom function on your camera to take photos of the reptile. This can help with your identification of them and/or relaying colours, marking and other distinguishing features. Call WIRES or Fox Valley Animal Hospital for advice and assistance. If your pet has had an altercation with a reptile, the appropriate response is to check both for injury if possible. Teeth, claws, being tossed about and bites can severely injure a reptile. Similarly, bites and scratches and tears can, if not poisonous, invite infection. It’s always better to be more cautious than wait and see. Being stung or eating a spider carries the same amount of risk. So please, don’t assume that the stomach acid will be strong enough to save your pet if they happen to eat a dead spider. Always seek veterinary advice. Bees can be quite painful for dogs and cats. They are usually not something a pet will ever consider tangling with again. Bees don’t always lead to major issues. However, some dogs, especially in the bull breed line, can have severe allergic reactions. Even eating a dying bee can be problematic as you cannot safely assume the bee is dying due to releasing its sting. Wasps are harmful to all dogs and cats and a sting should be treated with immediate attention. As bees and wasps produce toxins, the quicker you get your pet to a vet, the better the outcome will be. Even if you avert serious injury or death, these sorts of incidents can leave lasting impacts on the lungs and heart. Echidnas, koalas, the odd wallaby, possums and more- these are the wonderful friends Wahroonga brings to our door. In the paws of a dog or cat, they can be injured, frightened and lose confidence. If under threat, they may also resort to giving as good as they get. 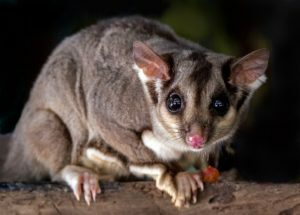 We’ve covered what to do if you find injured Australian wildlife in Wahroonga before. It’s also important not to participate in that injury. Just as you would with a snake or lizard, make sure your family pet does not have access to wildlife you find in your backyard. Do what you can to move them away from the animal and move them inside. Once you have your pets safely inside, check on the wildlife. See if you can safely help them. If not, call WIRES. Their trained wildlife carers will give you advice on what to do next. If you can, bring the wildlife to Fox Valley Animal Hospital so we can help if you need. The main aim is to ensure that our precious Australian wildlife remains injury free. And that your pet is similarly safe and sound. Want more advice on having a pet-safe garden? We’ll be looking at the various plants for cats and dogs in our subsequent blogs on dogs in the garden, helping Wahroonga’s Australian wildlife and more.